When I started SchneiderB.com four years ago I never could have imagined all of the wonderful people I would meet because of this blog. When I published my first post I was just hoping that someone would actually find and read my blog. An unintended benefit of writing this blog is that it’s become a wonderful professional development resource and exercise for me. But as much as I try to read and learn about internet marketing and social media I know that I don’t know everything. So when I need help I enjoy reaching out to readers of SchneiderB to learn from you! I recently did just that when I shared a video we created for Sewickley Academy and asked for feedback. Michael Hatfield wrote back and offered his suggestions on the short video and shared his expertise and insight which were excellent. 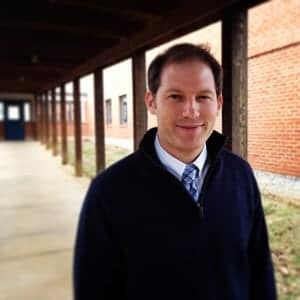 Michael is the Director of Admissions at Powhatan School, a small PK-8 school tucked away in the beautiful Northern Shenandoah Valley of Virginia. Before joining the leadership team at Powhatan he spent 7 years in college admission and 5 years in alumni affairs and development. I knew I had to introduce Michael to the SchneiderB community and I want to thank him for agreeing to this Cup of Coffee Interview. 1. How does video relate to inbound marketing in general? A recent article about content marketing trends indicates that posts with videos attract three times more inbound links than those with just normal text. 2. Why should we be using video in independent school marketing? At the end of the day we are all storytellers. As admissions professionals we need to be able to share those key messages to our target audience and articulate them in a clear and concise manner. I think video, more than any other medium, allows us to tell our stories. 3. When did you realize that the efforts were paying off? 4. Now that is powerful. Cue the run-to-the-corner-flag-goal-celebration… yes, extremely powerful. I had heard a few ‘oh, I think I saw that on your website’ comments during conversations with prospective families all along so I knew we were on the right track, but that was the watershed moment. 5. When I see the words ‘admissions video’ I cringe – what have you done differently? Granted, if you’ve seen one admissions ‘welcome’ video, you’ve seen them all. So what we have set out to do at Powhatan School is to take it one level deeper. We want to take the prospective family inside the classroom and share with them the Powhatan experience. So we use video to introduce prospective parents to our people, our environment and to communicate the value of a Powhatan education. 6. How do you use video in your communication flow with prospective families? The primary use of video in our communications flow revolves around our e-newsletter. We send our e-newsletter out to prospective parents twice a month, or about every two weeks. We usually include about 8 to 10 news ‘stories’ to keep prospective parents connected to campus happenings. That’s where the videos come in. They are embedded directly into the e-newsletter and might include a brief two or three sentence description. The short snippets allow us to give the video some context if needed. For example, you can usually write a sentence or two about a fun kindergarten field trip, but that’s about it. However, you can make a video of the trip and, in essence, bring the prospective parent along. Plus, it goes directly to their inbox. There will usually be two or three videos in each e-newsletter at varying grade levels, allowing the prospective parent the opportunity to select what might interest them at a time that is convenient for them. The beauty, of course, is that it can be used across platforms. We are able to blend videos with links to our website and pictures on facebook, twitter, etc. By the way, the vendor of choice for us is Constant Contact. With so much focus on the mobile experience now, they provide a great solution and a non-profit rate. Their metrics and analytics are outstanding for a small shop and the ease of creating and personalizing content is hard to beat. 7. You mentioned Social Media earlier in the discussion, how does video play into your Marketing Mix? All schools are leveraging social media to reach out to prospective families. If you follow the old adage that 80% of your inquiries come from word-of-mouth from current parents, then social media just becomes an extension of that process. We share most of the videos on our official social media sites and our main website. Our current parents are the most active in engaging in this arena. We do mix it up a little though, with some videos directly uploaded to social media and others we link to videos on our website. That way it isn’t the same thing over and over again. We get a solid amount of traffic with videos on our facebook page, but the interesting piece is when we track the patterns on our website with google analytics. We had a fun little kindergarten football game video this fall that parents got excited about and shared on facebook and twitter. We had posted it on our website, so the traffic was driven directly to that particular page so we could track it. It was interesting to go into google analytics and see the behavior flow. Out of 273 page views we received 53 visits to the admissions process page alone. To me that is absolutely worth the hour it took to produce the video. 8. What about your YouTube channel? To be honest, this is an area we could improve on. We haven’t put much effort into the school YouTube site itself as a stand-alone. We are primarily using it as a ‘home base’ for housing the videos, as YouTube makes it easy to embed videos into our website. 9. What is your toughest challenge that video solves? One of the first things that we did from a marketing prospective in 2009 was craft a survey of current parents. The feedback was extremely useful in many ways because it was a window into so many facets of the school. One of the major things that stood out in the survey, which I’m sure is very similar in most independent schools, was that our faculty was constantly ranking at the top in numerous categories of questions. To be honest, having come from the college/university ranks, I was having difficulty getting my head around how to relay that to prospective parents. I was used to highlighting faculty research, number of publications, real world business experience, degrees, etc. Our faculty is so very knowledgeable, they can talk at length about a project or the growth of child in a particular class – and that is something that just doesn’t translate into text easily. They are passionate about their profession, their craft, and when you talk with them it really comes across. That is where the videos helped the most. We are able to highlight faculty and ‘introduce’ them to prospective parents through the videos in our newsletter. 10. How did the faculty embrace the process? It was gradual. I think at first they were probably thinking; who’s this crazy guy in the back of the classroom with the camera? But I was very lucky in that we have a very creative and inspiring school culture. It’s a place that nurtures creativity, so something like this really is a natural fit. I just started popping into classrooms and filming little projects and classroom experiences. Our kindergarten teachers were the first ones to really embrace it, and they were great about being involved. They love sharing what they do in class and are terrific about breaking down a class lesson or project – making the end result authentic. When we first realized it was catching on we sat down and strategically mapped out a few opportunities of things we purposely wanted to highlight. Now, they email me or stop by the office to let me know about a great project that they might have going on next week and ask if we can put it on film. 11. We are all being asked to do more with less. So do you have a separate budget for video? That is the great thing about this approach for small schools. The app costs $5.00. That’s it. Plus, I don’t think of video as a separate undertaking. As with anything you align your resources with your priorities. This year our main academic focus is on STEM education. In addition, we are undergoing a detailed review of our science curriculum from top to bottom. With that as an internal focus, we are just simply sharing what the school is already do in these specific areas. So if you look back over the 33 videos we produced this fall, 16 of them were related to science, technology, engineering and math. 12. How easy is it to place video on your website? We use WordPress for our website and embedding a video is as simple as typing in the URL into the post. An example is the Art page on our website. The original version of the page was text only. Now, after spending less than 5 minutes to copy and paste from our YouTube site, there are 5 videos highlighting different art projects. You meet the Upper School art teacher, you learn a little bit about cross-curricular projects at the school and you see our students engaged in the classroom. This is an area I’m making a strategic push to focus on for 2014 – creating videos to specifically support certain areas of our site that I’d like to enhance. The other improvement is we are going to go back to using a short introduction clip for branding with each video. We used one last year, but it just seemed a little too packaged. Granted, the primary placement of the videos is in our e-newletter or on our website, so prospective parents know they are watching a Powhatan video, but we’re leaning toward going back to it the rest of this year. 13. What technology are you using to produce your videos? The iPhone is the weapon of choice. There is a great app, iMovie, that makes it very easy to edit and upload directly to our YouTube page. The average video probably takes as little as 30 minutes to produce. You spend 10-15 minutes in the classroom filming, 5 minutes to edit, 5 minutes to upload and then another 5 minutes to distribute via different web channels. Time is valuable to all of us. Using video in independent school marketing is great because you can spend 30 minutes twice a week and probably come up with enough material for all of your different communication needs for the month. 14. Were you always using iMovie? No, we were using a flip camera for the first two years. The editing was a nightmare. I look back now at some of those first videos and I just cringe, but it ended up being the catalyst for what we do now. That was the first time I got to work with Graham Knight over at Isomer Media. Graham has an extensive background in TV production, so we blocked off a couple of hours and dug in. He brought in some industry grade equipment and started showing me what real editing and production looked like. It was crazy, but I was hooked. Over the next six months he would stop in the office on a few afternoons and continue to share his expertise. From editing film, overlaying sound, combining sequences to basic selection of shots, he walked through it all. Each session was a master class. When we began using the iPhone technology we gave up a little of the high end editing options for the timeliness and simplicity of iMovie, but the same lessons learned still applied. It may seem insignificant, but one simple thing that Graham taught me makes all the difference in the world – keep the original audio file live with any voiceover. The iMovie app allows you to take an individual shot and adjust the volume. Bring the volume down by a little more than half in the original footage and then drop in your voiceover. When you have students interacting in the background it really makes for a better viewing experience. Another idea is when using voiceovers consider dropping in text indicating who is talking. It is a nice little effect and is helpful to the viewer when you have multiple speakers. Then log into your YouTube account. It make combining clips and transitions easy and has a few other functionality’s that allow you to edit in a short amount of time. In addition, it allows you access to your entire catalog of videos. 16. Were there any side benefits? Most definitely. Current parents enjoy seeing their children engaged in multiple areas of the school, so we post them on facebook or on the website. Teachers will include the videos in their newsletters or online classroom portals for parents and students alike. The same can be said for alumni and donor relations. But I have to say, one of the nicest side effects has been the response from some of our teachers when we highlight and showcase their classrooms. They take pride in their work and, although they don’t often say it, they appreciate a little time in the spotlight. I just want to say thank you for all of the terrific information you provide on SchneiderB. Every Saturday morning it’s the same routine; I wake up, feed my baby girl her bottle, start a pot of coffee, turn on the Barclays Premier League to watch soccer and pull up my email so I can read the SchneiderB ‘Weekend Update.’ There is always a take-away from your posts. I’d like to thank Michael for taking the time to share a Cup of Coffee with me. I sincerely hope you’ll check out the examples he’s shared and ask any questions you have for Michael in the comments section below. 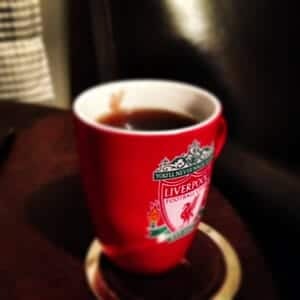 This was a particularly great “Cup of Coffee,” Brendan. Strong. Full-bodied. Piping hot with loads of info for schools to take their video use and production to the next level. Michael is spot on about the strength of video to tell a school’s story and should teach a class for his peers. Maybe a @schneiderb:disqus webinar? Over the past 12 months Covenant Christian School in Sydney Australia has uploaded 116 public videos plus over 20 more unlisted ones. These have generated 13,434 views. The average though is only 115 so they simply provide a window into school life rather than trying to ‘go viral.’ YouTube is a powerful tool for school RETENTION not just prospecting. It also provides a storehouse of your school history. In the same 12 month period the previously uploaded 300 plus videos generated another 85,000 views. The channel has now passed 300,000. Many of the views are not current or prospective families so the statistics are not the issue. The goal is opening the window. What happens at school should not be a secret from parents. Although I have not personally used it, I hear that Magisto is a good tool. Great point Chris and thanks for sharing! Great stuff Brendan. Best line: “But I was very lucky in that we have a very creative and inspiring school culture. It’s a place that nurtures creativity, so something like this really is a natural fit.” I think there are a lot of schools that fit this model and could really take video and run with it. It’s easiest in that environment–otherwise a tough sell. Hopefully this was an inspiration to many readers.